Dr Jason Dunn is a Consultant Gastroenterologist at Guy's and St Thomas' NHS Foundation Trust Hospitals. He studied at GKT medical school, graduating in 2000. He was awarded MRCP (London) in 2005 and appointed as a consultant in 2012. His particular interest is early diagnosis of cancer, using specialist endoscopic techniques to assess Barrett’s oesophagus with dysplasia, early oesophagus and stomach cancer and colon cancer. He has written guidelines for the management of Barrett’s oesophagus for the South East London Cancer Network and Kent & Medway Cancer Network. 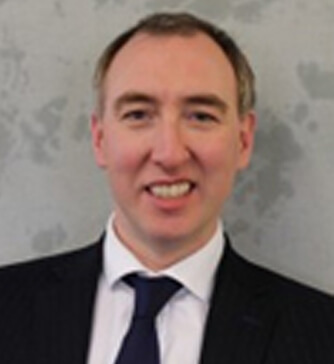 Dr Dunn also has an interest in Nutrition, and he is the Nutrition Lead for London Bridge Hospital, specialising in parenteral nutrition in oncology/palliative care and PEG tube insertion in patients dependent on non-invasive ventilation. He was awarded a CRUK clinical fellowship at UCL and studied use of optical diagnostics and minimally invasive therapies for the treatment of Barrett’s oesophagus. He gained his PhD in 2011 and has presented his work at national and international meetings. His work on treatment of Barrett’s oesophagus with RFA, and the use of biomarkers to predict cancer progression, has won prizes. He has published in high impact factor journals and book chapters. He currently holds Honorary Senior Lecturer posts at Kings College London and Oslo University in the Institute of Medical Informatics. He was recently awarded a grant for a trial of RFA for inlet patch. Dr Dunn is the Research lead for the Oesophageal section of the British Society of Gastroenterology. He is a trustee for Barrett’s Oesophagus UK, and the medical advisor for Action Against Heartburn.